YASYAS Smartphone | Smartwatch | Speakers | Headphones > Blog List > Phone Repair > All you need to know about phone repairs? All you need to know about phone repairs? It is possible that your phone went wrong under the warranty conditions. You are then entitled to a free repair by the manufacturer. 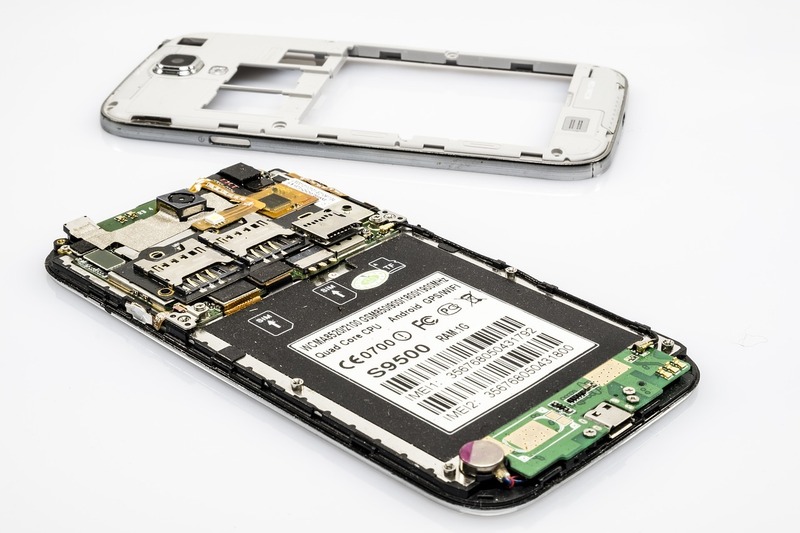 We discuss all ins and outs about this in our article about phone repair and warranty. Sometimes a defect or crack is unfortunately too big and a phone repair is the only solution. You can have this done or, if you are handy, do it yourself! Whether the defect in your phone is covered by the warranty or not, but in most cases, the following parts can be repaired. Is there a large crack in your screen or does the display no longer respond well to your touch? The screen of a smartphone can be replaced. The screen panel, the touchscreen and the protective layer are renewed over the screen. Extra advantage: virtually the entire front of your phone is like new again. And with that your phone immediately looks like a new phone. ‘What do you say? I do not hear anything. Hi are you there?’ Is this how your conversations with others have been going on lately? Then it seems that the microphone in your smartphone is broken. Your phone will still work fine, but nobody can hear you during a phone call. Fortunately, the microphone can be replaced with most smartphones. Do you like to take photos, but does your phone ‘see’ nothing more because the camera is broken? Rest assured: a broken camera can also be repaired. You then replace the camera module for a new one. Often this is not such a complicated procedure and the repair can be done very quickly. If the battery of a phone is empty again within the shortest time after charging, it is probably the battery was dead. The solution for a phone with replaceable battery is simple: you buy a new battery yourself and place it in the phone. Unfortunately, most modern phones do not have an easily replaceable battery. Yet you can also simply replace this battery. To do this, the phone must be opened. Then you can take out the faulty battery and replace it with a new one. The new battery life is just as good as when you had just bought your phone! Sometimes a smartphone is too damaged to be repaired. There are then too many small parts permanently broken. This is often due to one of the following reasons. Has your phone fallen into the water and does it no longer work? Then you have water damage. The disadvantage of this is that several parts are broken. Often these are not large parts, but rather small transistors and tiny parts that ensure that the energy of the battery reaches the processor. It is then not possible to find out where the defect is exactly, so that a phone is actually ‘beyond repair’. Even in the event of extreme fall damage, a phone can often no longer be repaired. This happens when you drop the phone from, for example, the balcony. Then many small parts are crushed, broken or perforated. It is then impossible or impossible to find out what exactly is broken on the inside of the phone. In that case, you can better buy a new phone than try to have it repaired. A repairer has the necessary tools and the knowledge and skills to repair your smartphone quickly and well. Before you have a phone repaired, it is wise to pay attention to a few things. In many cities and towns there are phone repair shops where you can go. It is always good to see in advance what the experiences of others are. On the internet you can often find reviews, for example on Google Maps or on Face book. This way you have a better picture of the qualities of such a repair shop. Found the right store? Beautiful! It’s time for the next step. Do you know exactly which part of your phone is broken and needs to be replaced or made? Then clearly indicate this to the repairer. This way you can be sure that no other parts will be replaced of which that is not possible. You thus keep control over the costs of the repair. Try to get a price indication in advance of what the repair costs. This differs per defect. The material costs are of course included in the repair costs. One part is more expensive than the other. Wages are also part of the labor costs, as are sometimes the inspection costs. Can you repair your phone? Are you a handy man-of-all with two right hands and have you successfully repaired electronic devices? Then you can of course try to make the phone repair yourself, if you dare! Moreover, it is quite fun to do and it is cheaper than when you do the repairing. Bonus: if it goes well you can also do it for others and earn an extra pocket money! Note: if you are going to tinker on the phone, the warranty on your device will expire. For a phone repair you need the right tools. And no, you have nothing on the standard screwdrivers in your toolbox. For smartphones you need tiny screwdrivers. With the iFixit repair kit you have everything you need to repair your phone yourself. This set also includes suction cups that you need to physically open most phones. Of course you are not there yet with the right tools. You also need to order the parts you need to repair the phone. On AliExpress you can find most replaceable parts of popular phones. Once you have it inside, repairing can begin! Good, you now have the right tools and the necessary parts to get started. The real work can start now, but how do you repair a phone the right way? That can be quite complicated. Fortunately, there are all kinds of instructional videos on YouTube where you can see how you can repair the phone. The website iFixit is also recommended. Here you will find very clear instructions on how to repair popular smartphones. Has your phone been repaired again? Nice, you can use it again and you do not have to buy a new phone for your Sim Only subscription. Tip: take a case for your phone. This protects you better against possible fall and water damage. For example, a phone repair next time may not be necessary at all. Such a case therefore pays for itself. Saves a few cents in the sequel! For which defect did you have your phone repaired? Have You Ever Lost Your Phone in Deep Sea Diving? Copyright © yasyas.com 2019. All rights reserved.